When building a brand online and engaging with customers, most companies are over the moon to receive multiple 5 star ratings. These are certainly valuable to reputation - which is why we get into how to interpret these reviews and how to respond to them with class. But more than anything, we want to help you understand that a five star review is only as good as the rest of your online reputation taken as a whole. Do you have a wide range of reviews from users? 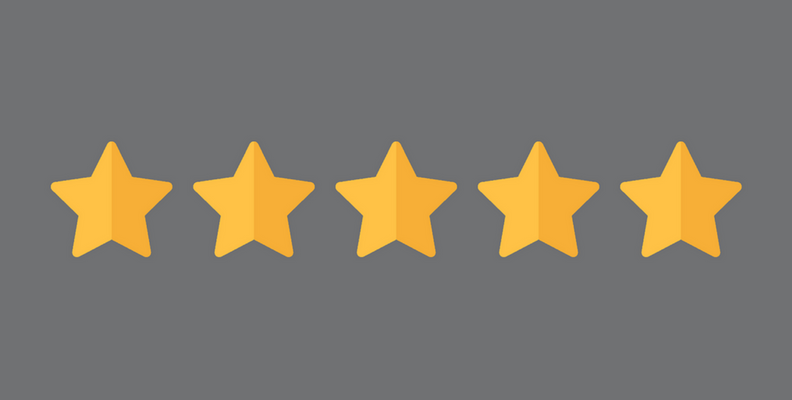 Understanding five star reviews is to understand that your target audience is likely looking for more than just a high rating. So let’s dive in. Customer reviews are incredibly important to your business’ success, both from a customer satisfaction standpoint and an organic marketing standpoint. A recent TrustRadius study found that 76% of respondents use reviews to discover new brands and products. Nearly 7 out of 10 use reviews to evaluate a product, and almost half use them to actually select which product to go with. With those numbers in mind, 5 star reviews can be a boon for new business. You can look at those reviews to see what you’re doing right, and even feature those elements in your marketing efforts. But as you’ll see below, the real answer to how to interpret a 5 star review is: with a grain of salt. Reviews may be important to your brand, but it won’t be enough to simply let them sit out there in the ether. Engaging with customers by commenting on their reviews or even sending a personal thank you will go a long way. At the very least, it will make an even more dedicated customer. At the same time, commenting publicly will show a much appreciated engagement level to your audience. Of course, in response you want to include a level of graceful consistency - any public comments you make are rightly part of your marketing efforts. 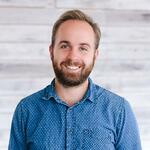 Here’s the bottom line: nothing is perfect, and potential customers want to know how your product fits their needs. To get an understanding of this, they’ll be asking themselves about your product’s applications and limitations. If they only see 5 star reviews, one of two things will happen. At best, their questions will go unanswered, creating a harder sell for you. At worst, they’ll grow suspicious of the authenticity of reviews and go looking elsewhere. Another study from TrustRadius asked users to identify how they tend to use the negative feedback they find on a product or brand. 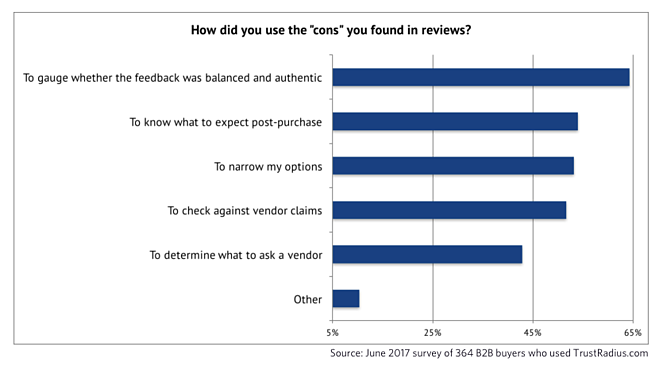 Many people said they used these negative reviews in positive ways: to gauge authenticity, to moderate their expectations and to figure out important questions to ask the vendor. Of course, even without these positive uses it comes down to the fact that online users are less likely to trust a vendor with no negative reviews. Would you?